The CIRRIS XI™ and CIRRIS XR™ robots give gas network operators an alternative to direct burial replacement by reducing pipeline risk and extending the usable life of large diameter (12″-48″) cast iron gas distribution mains. From one small excavation in the street, the CIRRIS XR™ Repair Robot renews up to 100 mechanical and lead/jute joints, as well as internal mechanical seals to stop and prevent leakage at a lower cost and with less disruption than pipe replacement or other rehabilitation methods. The CIRRIS XR™ can renew mechanical and lead/yarn style joints in 12″-48″ cast iron mains. Procedures have also been developed to renew failed internal mechanical seals. Robotic joint repair is more productive and cost effective than other internal and external joint sealing methods. Our technology requires only one excavation per 100 joints to minimize permit, engineering and construction costs. The CIRRIS XR™ precisely drills into each joint and injects sealant using a computer-controlled system. The drill pressure and flow rate are continuously monitored to ensure a full joint seal every time. By sealing all joints in the main, utilities eliminate the need to return to the same locations year after year to carry out maintenance and leak monitoring. We internally drill and inject every joint with a well-proven anaerobic sealant that has a 50-year effective life as tested and verified by Cornell University. The entire joint sealing process from the time we insert the tool head into the main through the internal drilling and injecting process and unlaunch procedure can be performed without shutting down service to customers. With just a small excavation and our CIRRIS XRTM and CIRRIS XITM operations truck, local residents and businesses can go about their daily routine with less public disruption and road closures than other repair or replacement methods. Our utility customers receive in-pipe video and daily work reports that detail the work that was done, the amount of anaerobic sealant injected in each joint, along with an accurate site map outlining joint locations and other pertinent information. Gas networks use our robotic inspection and joint renewal services to avoid the tremendous cost and disruption associated with direct burial replacement of large diameter cast iron gas mains. Internally Drill and Inject From Any Clock Position: Circumferential rotation within the main allows the CIRRIS XR™ Repair Robot to drill and inject from any clock position around the joint. 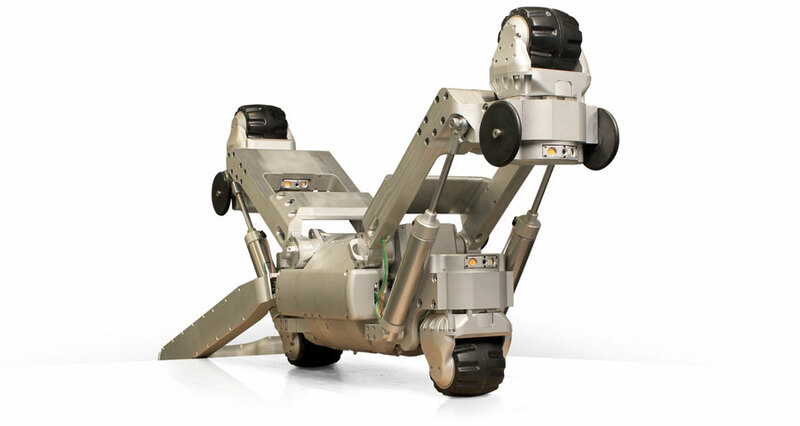 Improved Maneuverability: The CIRRIS XR™ and CIRRIS XI™ robots can navigate around 90 degree radial bends, past common obstacles and over most types of debris found in large diameter cast iron mains. Redundant Drilling and Injection Mechanisms: The CIRRIS XR™ Repair Robot is equipped with two drilling mechanisms to allows for the injection of two different sealants or for the repair of two different joint types in the same section of pipe. 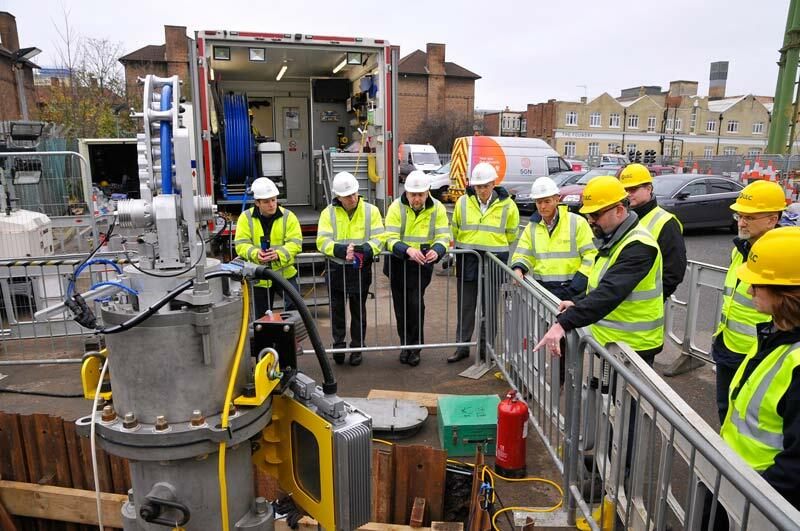 SGN and ULC Robotics carry out field testing of the CIRRIS XR™ and CIRRIS XI™ in a live 24″ cast iron gas main in London from November to December of 2015. Have a question? Use the form below to ask a question about robotic internal cast iron joint renewal with the CIRRIS XR™ and a member of the ULC team will respond as soon as possible.